Our dog Jake was diagnosed with lung cancer last week, and was put down on the weekend by our close friend & vet Dave. My wife Cecilia found Jake limping on a road near Stellenbosch four years ago. Emaciated, bitten and limping from cuts in his paws, Jake had been on the road for some time. After a full day’s search for his owners in the area where we found him, we took him to vet Dave for a medical, where he was determined to be a "mature Weimaraner dog between three & four years old." Subsequent adverts in the local newspapers, and queries with vets, the SPCA & the Weimaraner accociation elicited no response. 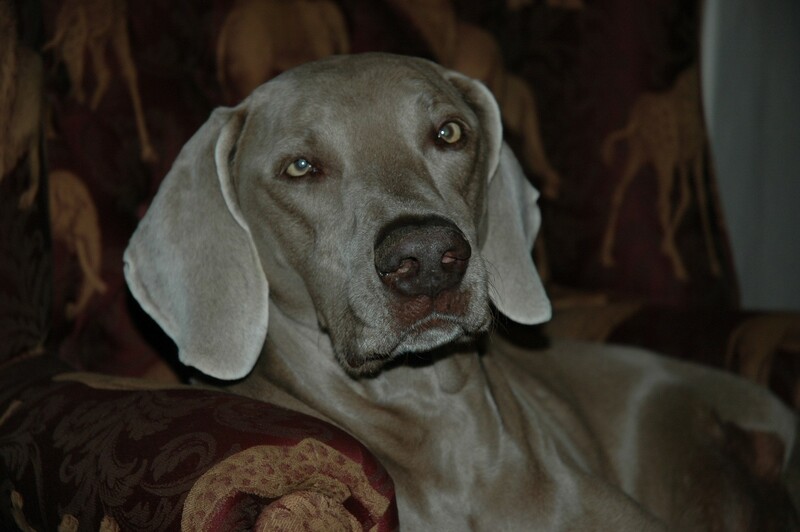 So he stayed as a companion to our old Weimaraner Thandi, and stole our hearts with his exuberance, affection and loyalty.